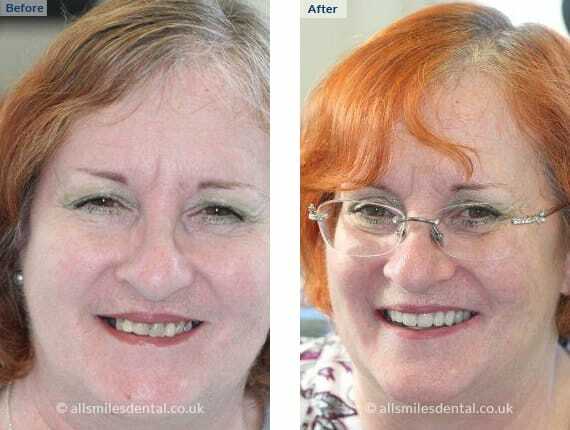 Bone grafts are required for patients who want dental implants but who have suffered bone loss. If you have had missing teeth for a considerable time, have worn dentures for many years, if you have suffered previous infection of the gum or bone or if you have advanced periodontal (gum) disease, some of your jaw bone may have resorbed or deteriorated. 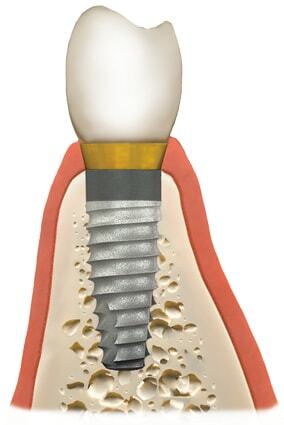 This does not mean you cannot have dental implants, it just means you will need a bone graft first. Traditionally, bone used in bone grafting was taken from a patient’s own chin or the back of the mouth, although occasionally it could be taken from other sites in the body such as the hip. Other options were donated bone from a bone bank, or animal bone. However, we find that equally good results are achieved using a calcium-based synthetic product (not human or animal-based), which is what we use for all of our bone grafting work. If bone grafting is suitable for you, our dentist will expertly and precisely place this calcium-based material in your jaw bone. Here it will successfully mesh with the existing bone, acting as a scaffold for new cells to develop during bone regeneration. Often, a special membrane is used to protect the bone graft and help encourage this regeneration. After a period of time during which healing and bone regeneration take place, you will be ready to receive dental implants. Sometimes when we place the dental implant additional bone grafting with these calcium based materials can be placed around the implant to ensure adequate bone forms around it. In this way we can prevent our patients from needing extensive, invasive and expensive bone grafting procedures from the chin or hip. Bone loss is not just bad news for your teeth, but for your whole facial structure. If a lost tooth is not replaced quickly with a dental implant, the bone will start to recede and your face will develop a sunken appearance. Bone grafts also help to revitalise and rejuvenate the face, helping you feel more confident about your appearance. 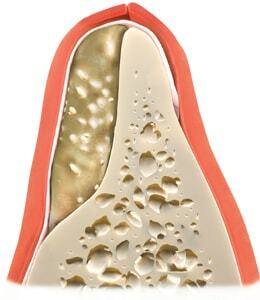 Cross-section of a jaw that has lost volume following tooth loss. There is not enough bone to place a dental implant. 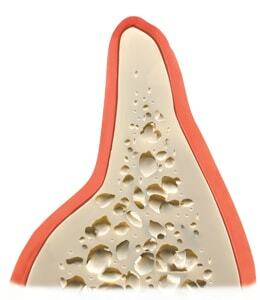 The patient’s cells migrate into the allograft material and remodel it into new bone. 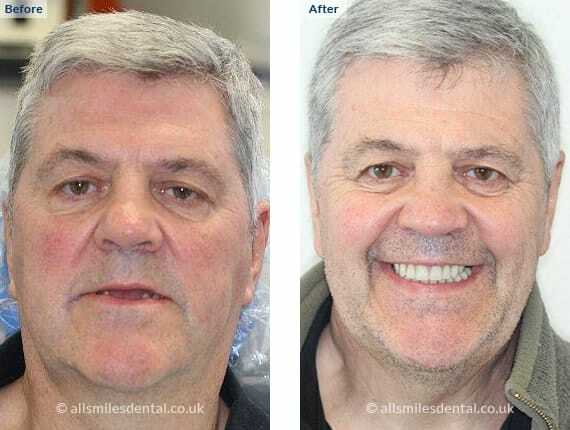 Restored jaw now has adequate room for a dental implant to replace the missing tooth. 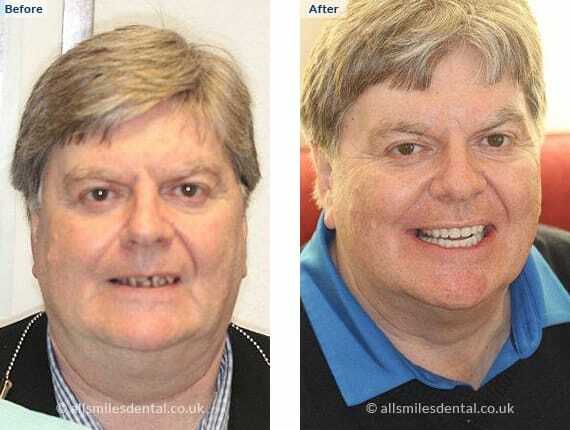 The treatment and care I received from Dr Ashish Deved for my implant was first class. Ash talked me through each step of the process and the implant looks and feels just like the real tooth it replaced.